So, while my kids drive me absolutely crazy more frequently than not — and one is still “new” as he’s less than a year old — I really enjoy having kids. Not really being a sociable person — in a seemingly “forced” social scene sense, anyway — for most of my 20’s, I couldn’t wait until I was in my 30’s and the mere thought of “going out” on a Friday night would be, well, unusual. I never really did go “out”. And, by my 30’s, it was totally acceptable socially. Thankfully, I also got married when I was 30 making that whole transition into being a “responsible adult” that much more real. Took seemingly forever to have kids thanks to that taboo M-word (miscarriage) but eventually we ended up with two healthy kids and one more that’s still a work in progress. I kid — The deformed third one will be fine. But now as I approach my 40’s, I’m not quite ready to say goodbye to my 30’s. Perhaps it’s the validation I feel as a parent, regarding my oldest, but even without that whole thing, I’m pretty confident that my wife and I make pretty good parents. Anyway, I’m 39 and my wife is 42 and we’re, well, we’re done with making our own kids but I certainly don’t feel DONE done, you know?. Sure, I could trade my wife in for a younger model and start over but that would undoubtedly just mess up the great start I have with the three kids that I already have. Besides, my wife is a pretty good teammate in all of this parenting stuff (she’s the boss, actually) so that leaves us, really, with only a single option…adoption. My wife, originally, wasn’t really on board with the thought, you know, with it not really being “hers”. Makes sense, I totally get it, and probably a more common reaction for women that have already had children of their own. That never really mattered to me — at least I don’t think it does. I mean, physically, I don’t see very much of myself in my kids but it doesn’t bother me in the slightest. 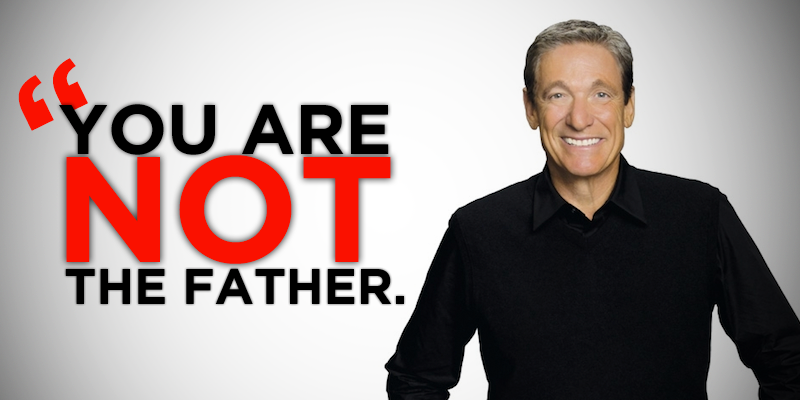 Just last night I joked with my wife that we should see if we can get on a Maury Povich episode to, you know, see if I *am* the father. So, even before we had our third (but after a few more of those demoralizing m-words), I’d already starting poking into the realm of adoption and, while kind of turned off by how difficult it can be, I never really abandoned the idea either. In my head, where I’m already living in that $750k home, I’d like to adopt a healthy male toddler from Haiti or Jamaica and make them my fourth son. Well, most adoptive parents much prefer newborns and infants so that they can, you know, bond from as close to day 1 as possible. I’ve done that already and wouldn’t want to rob a couple unable to have children of their own of that opportunity. Older children are, technically, easier to adopt for the same reason — people like new things. I have no issue with a 2 to 4 year old. Possibly old enough to remember some of their origins (which I do think is important) but young enough for our parenting style to take effect and really make them feel like they’ve always been part of our family. I’m leaning towards a little boy simply because it’s what we know. We’ve got three boys and really good grasp on how to raise a boy. Why rock the boat? As for the international aspect, well, I’ll confess… it’s just my preference. Ideally, I’d love to adopt someone from the other side of the planet but the process is really, really, really difficult in so many ways. Sorry, while adopting a child from Zimbabwe would be so awesome, I can’t imagine having to reside there for months prior to an adoption taking place (which is often a requirement). It’s too far away, too different of a culture, too different of, well, everything. I have a hard time getting around in Quebec City and, if backed against a wall, I speak enough French to get by and understand nearly all of it…but I’m still totally out of my element. Going to the other side of the planet where I don’t know a word, well, I guess, I’d just never really be sure if what I was agreeing to do was actually what I was agreeing to do, you know, lost in translation? Haiti and Jamaica aren’t that far away — though inconvenient, yes, neither is further than a couple of plane flights away and English is abundant. Further, originally being from Canada, I’ve met a number of both Haitians and Jamaicans up North and they’re all pretty awesome. I’d assume the Haiti/Canada connection has something to do with the French language and the Jamaica/Canada connection is just because both countries are awesome. Either way, it’s something that our now “American” family would share in common even if we all look different…or mostly look like Mom. And, lastly, I’d like them to be healthy. Kids are a lot of work all on their own. Having four of them is four times the work. 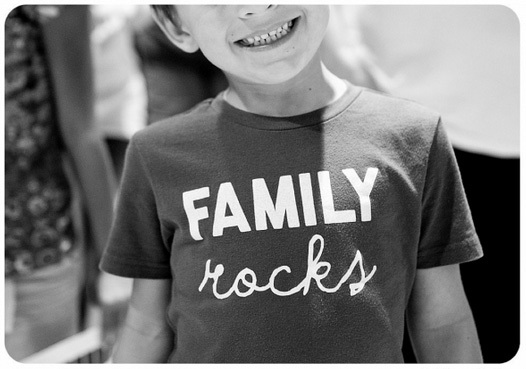 Selfishly, a special needs addition would be too much for our family to bear. Funny…I was just asking Nolan about this topic just the other day. Much to your dismay I’m sure, you and I think a little bit alike!